Bootstrap FAQ Showcase to show FAQ in your website. 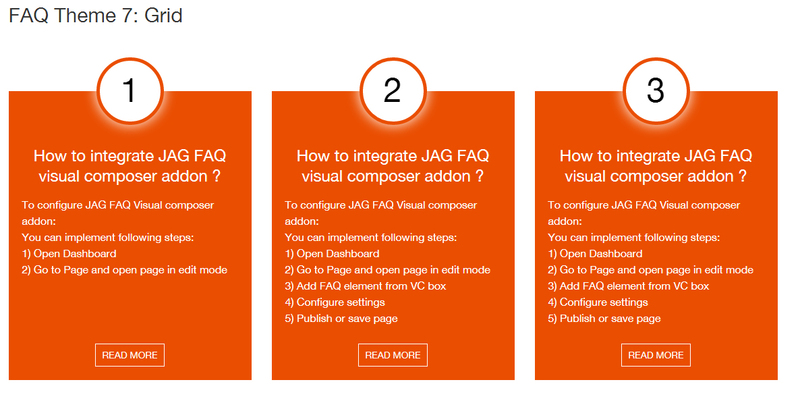 Want to show attractive FAQ Showcase to your website ? Bootstrap FAQ Showcase lets you add FAQ listing to your website with various options. There are 9 different elegant theme designs. You can select any color combination you want. 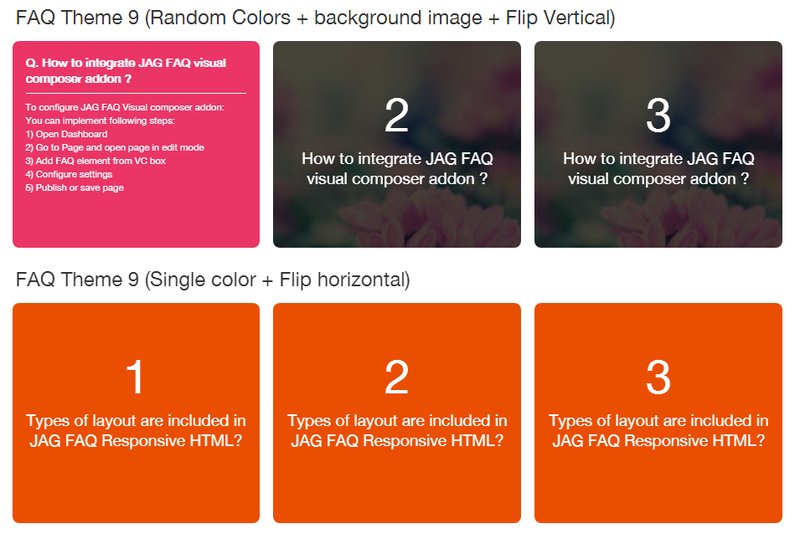 Option to Show FAQ listing with Random colors, grid FAQ listing, Flip horizontal & vertical, Show full answer in modal box. Moreover it is one of the best FAQ Showcase HTML Template for developers, allow to modify if have basic idea of bootstrap framework and css. 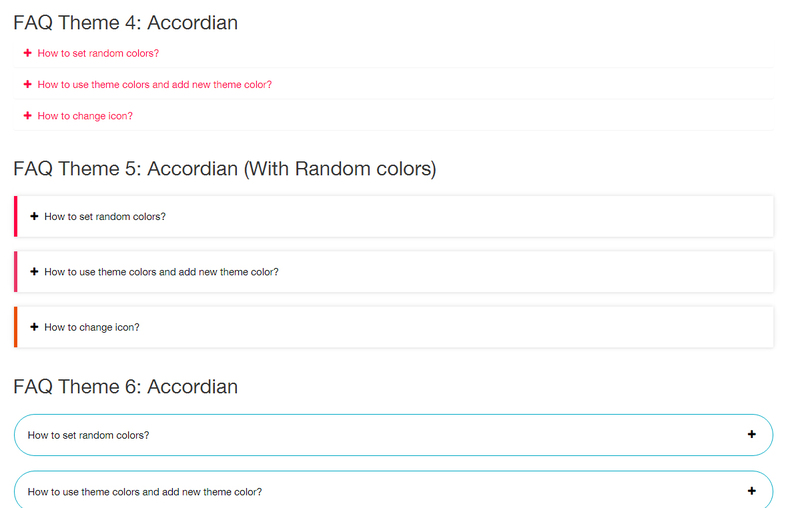 - Choose from various 9 themes. - Flip Horizontal & vertical option. 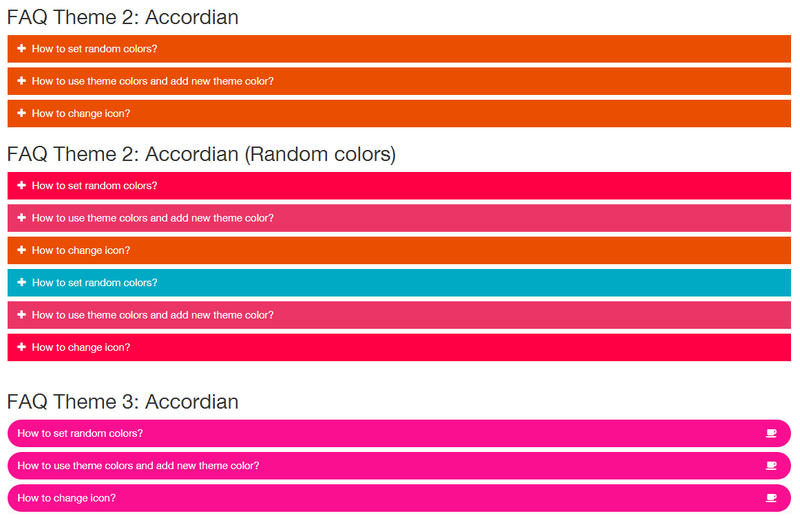 - Accordian using bootstrap collapse. 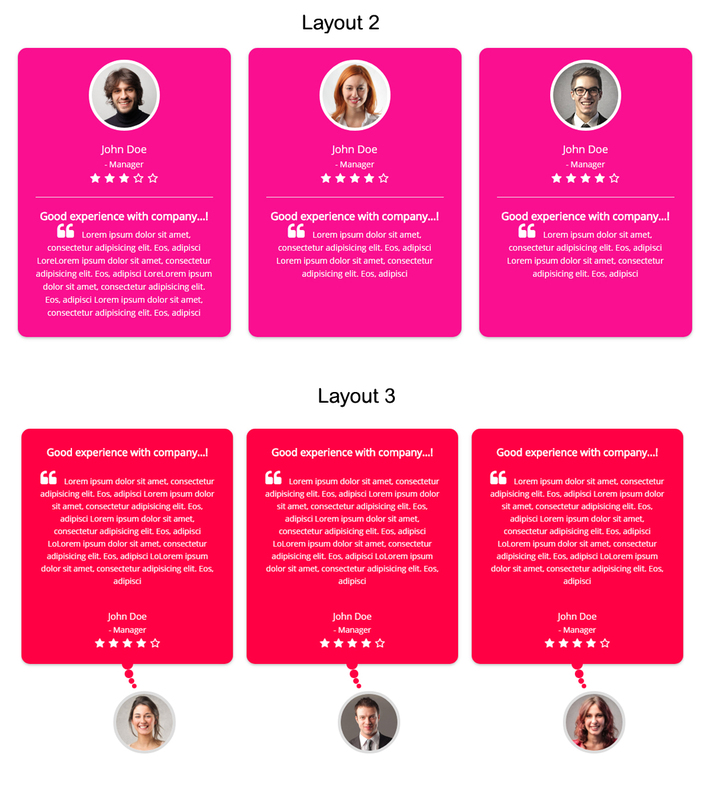 Bootstrap Testimonials Showcase to show client testimonials in your website. 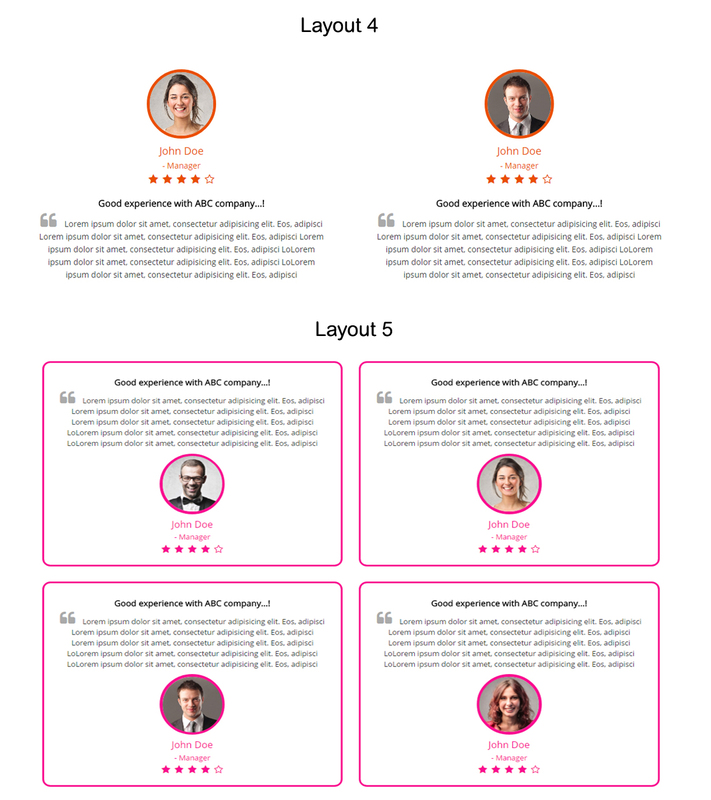 Want to show attractive Testimonial Showcase to your website ? Testimonial Showcase lets you add client testimonials to your website with various options. There are 5 different elegant theme designs. You can select any color combination you want. 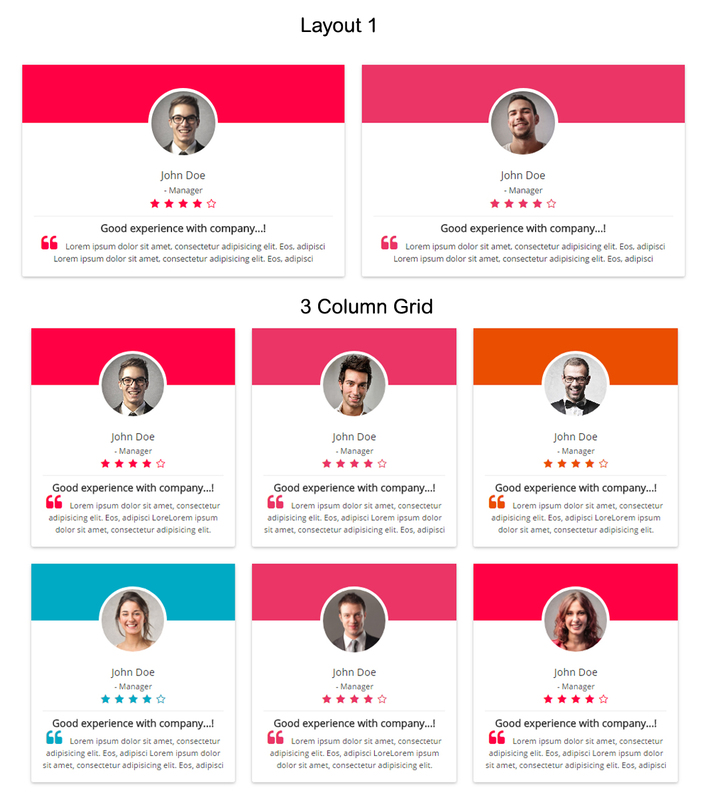 Option to Show client testimonial listing with multilpe colors, bootstrap grid, slider. 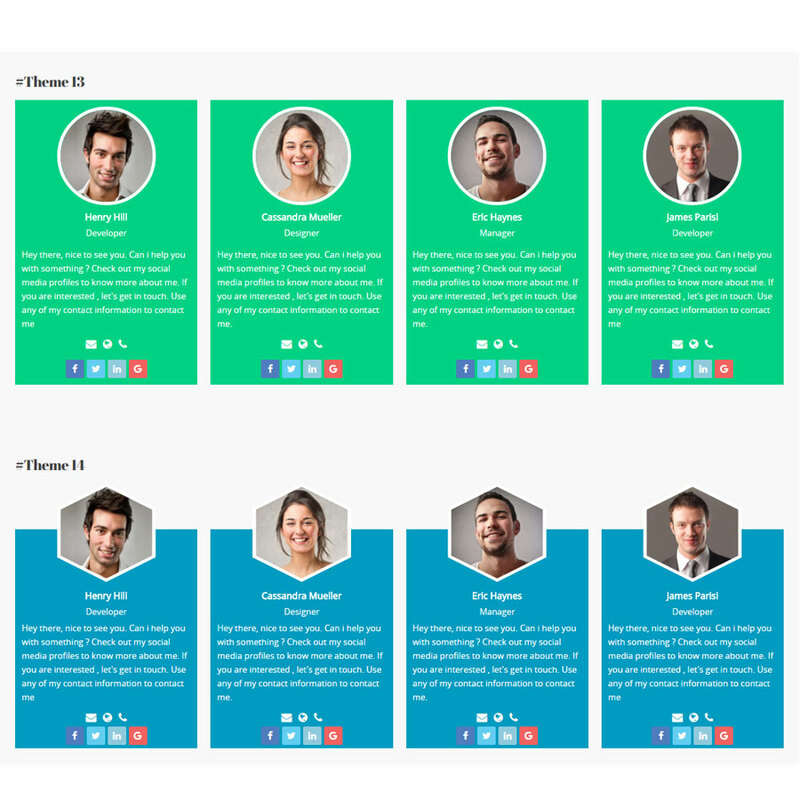 Moreover it is one of the best Bootstrap Testimonials Showcase HTML Template for developers, allow to modify if have basic idea of bootstrap framework and css. 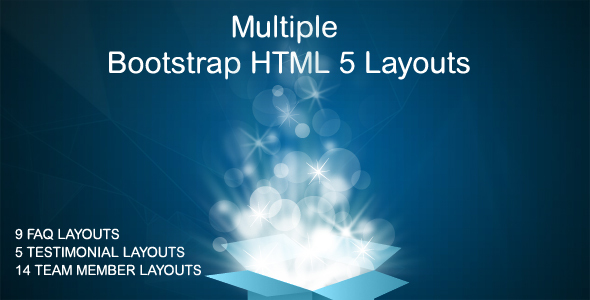 Bootstrap Responsive Team Members layouts to display team members. 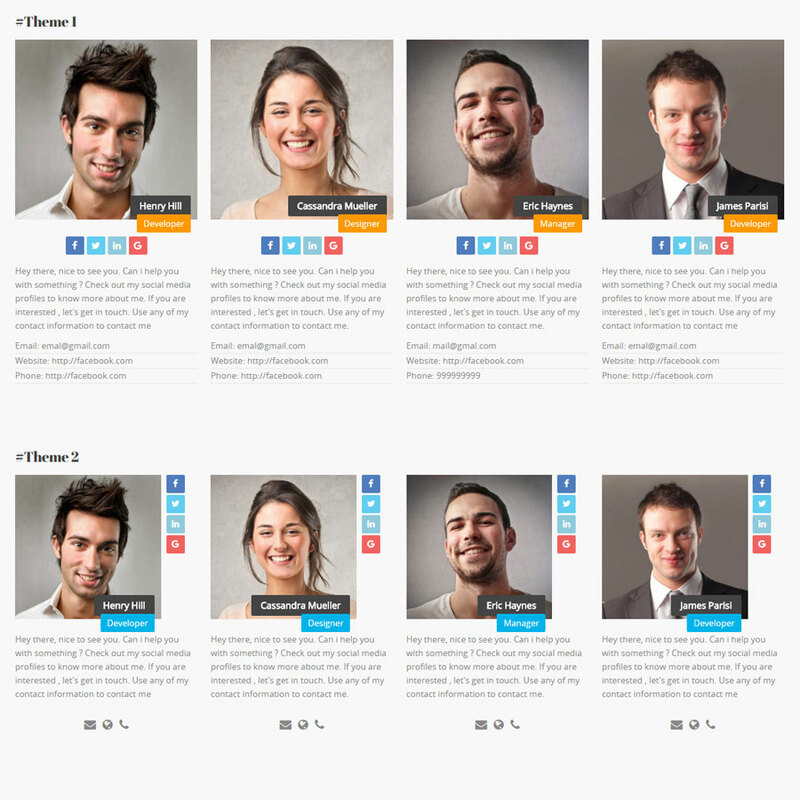 Want to show attractive team member blocks to your website? 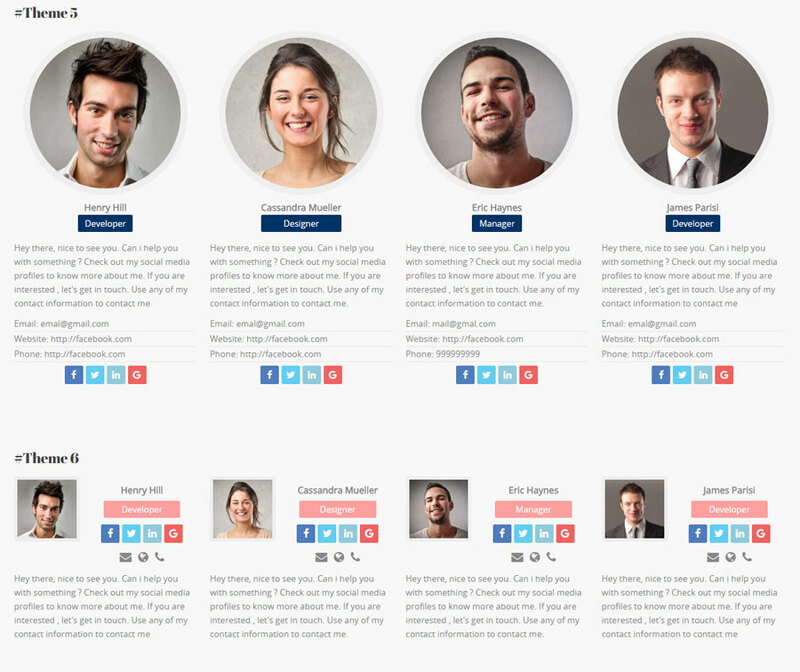 JAG Bootstrap responsive team members lets you add team member blocks to your website with various options. There are 14 different elegant theme designs. You can select any color combination you want. Option to display social media buttons and personal information. Hide/Show social media and personal information. 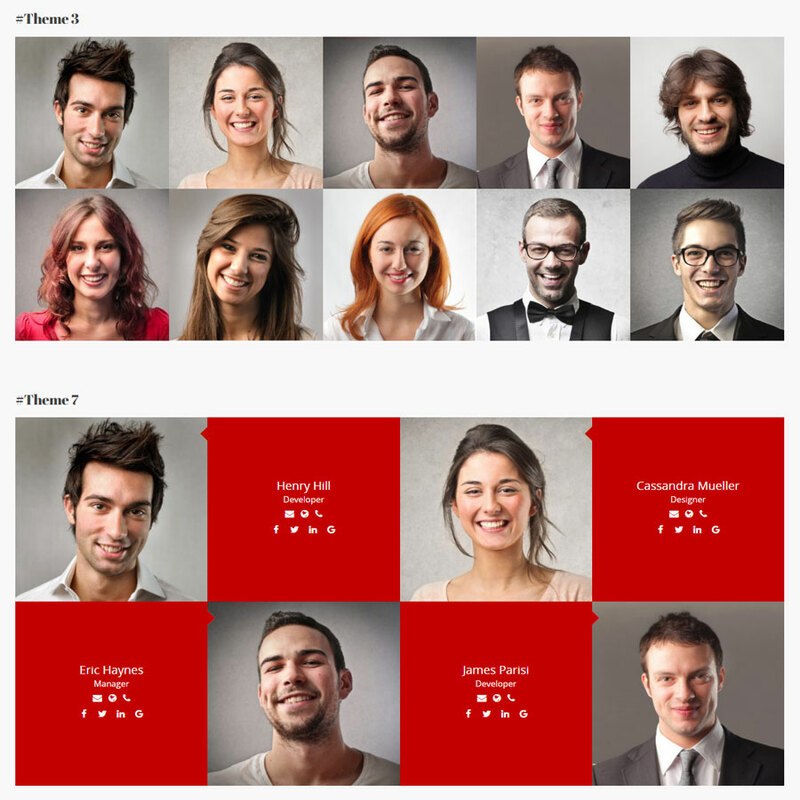 Responsive team members is light weighted as it uses CSS3 animations. 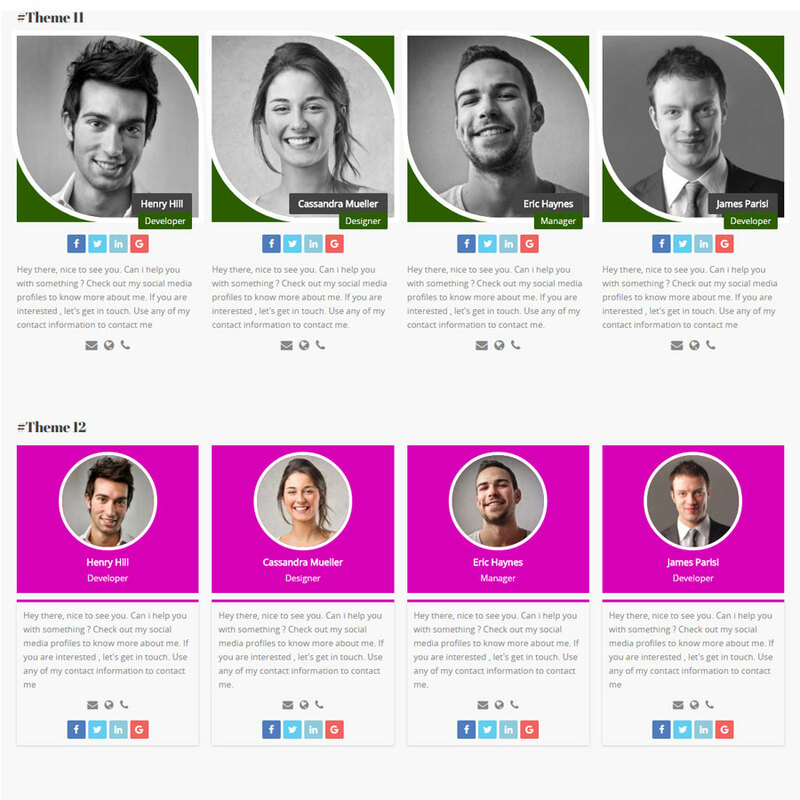 Moreover it is one of the best team member css3 layouts, it is developed with css3 and bootstrap, so developer can modify it in theme according to the client’s need. Choose from various 14 themes.